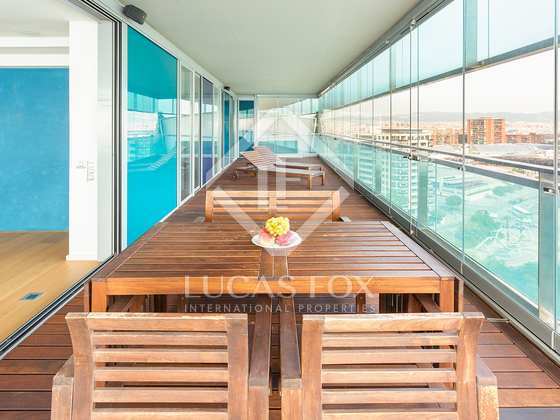 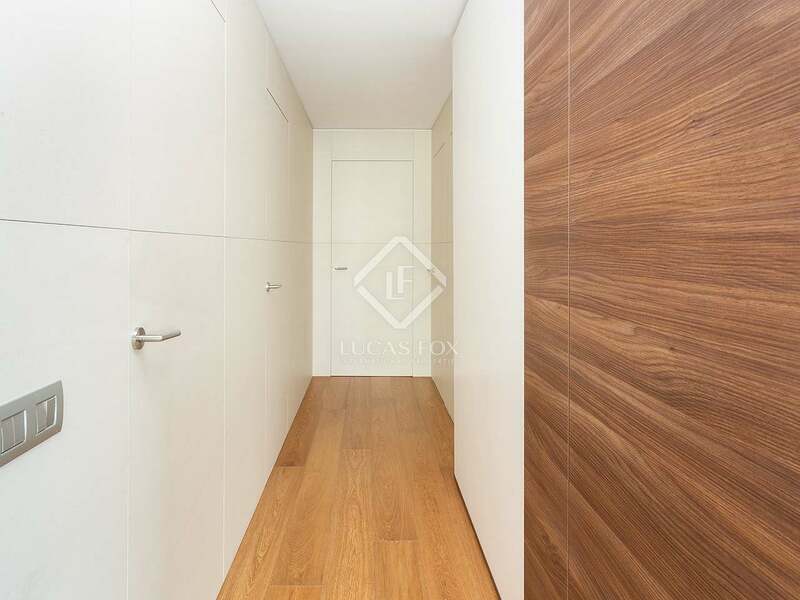 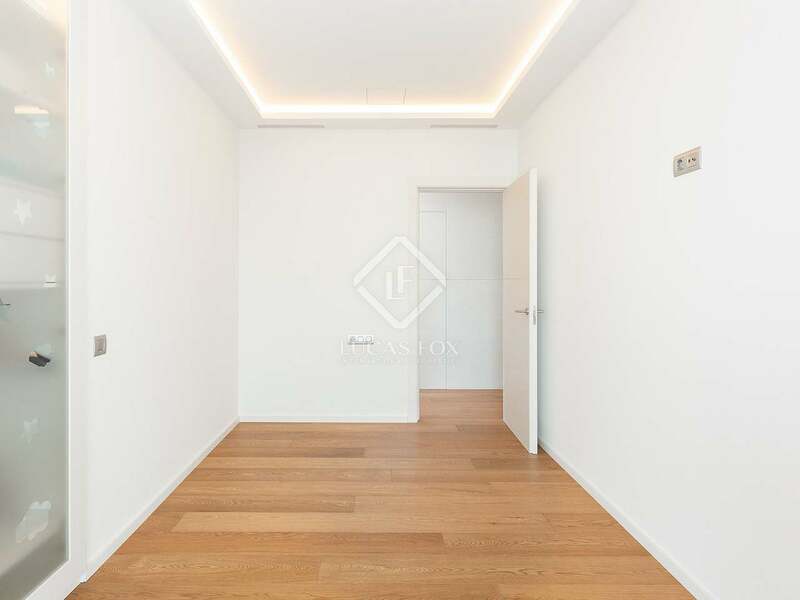 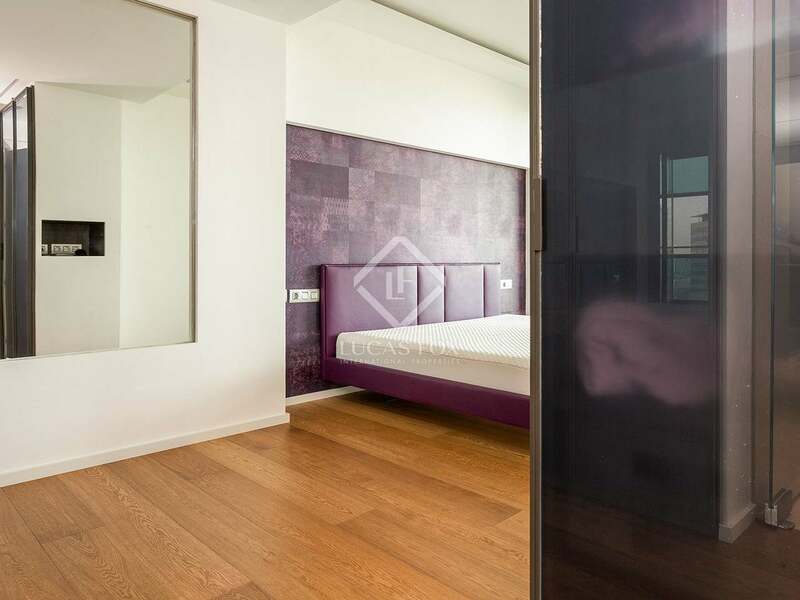 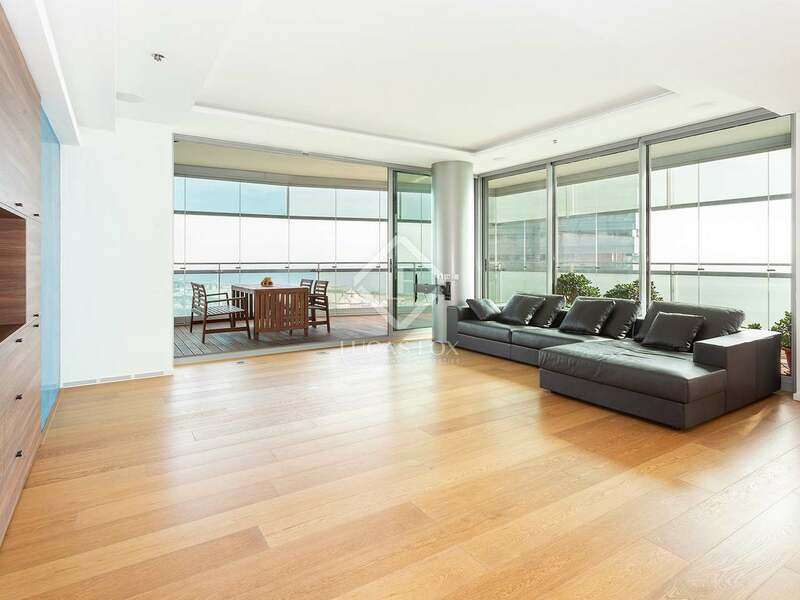 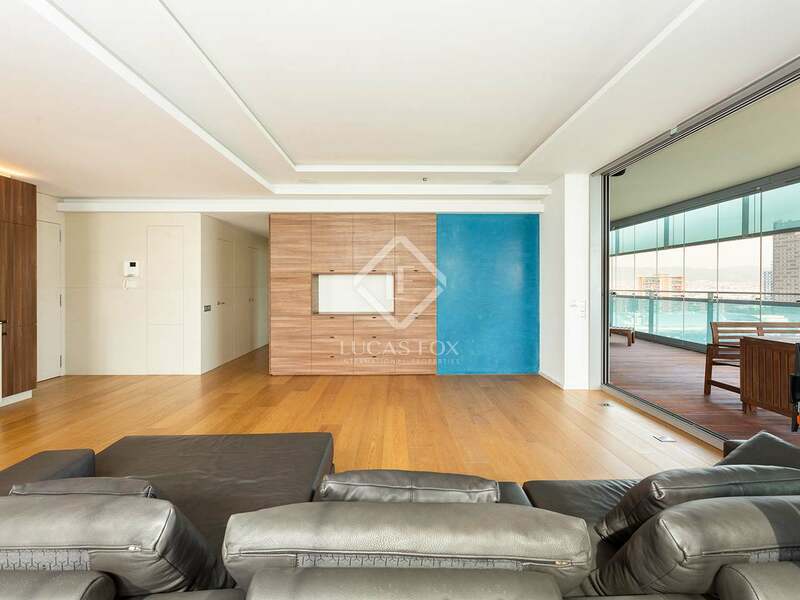 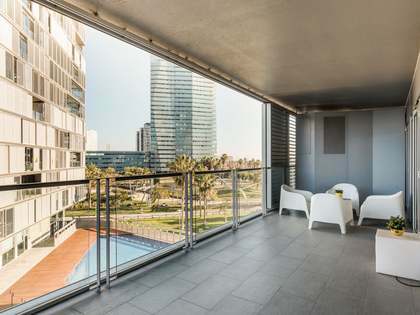 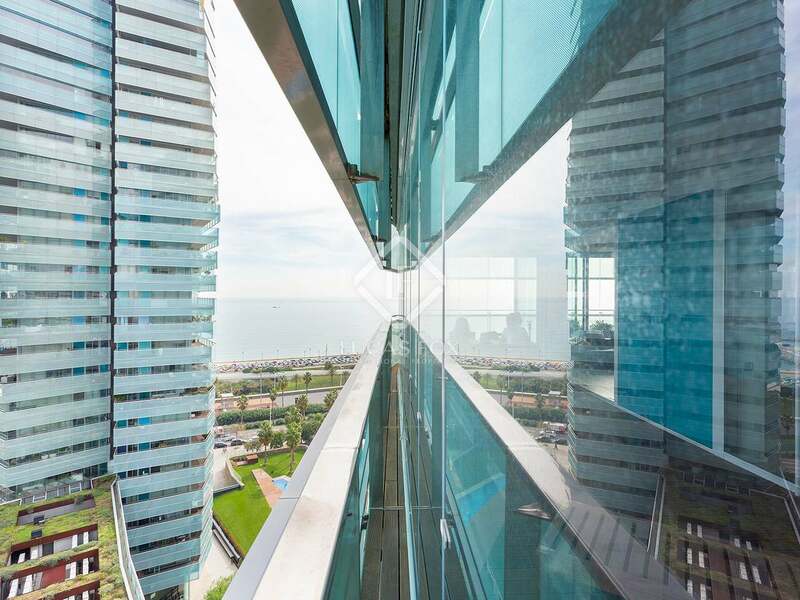 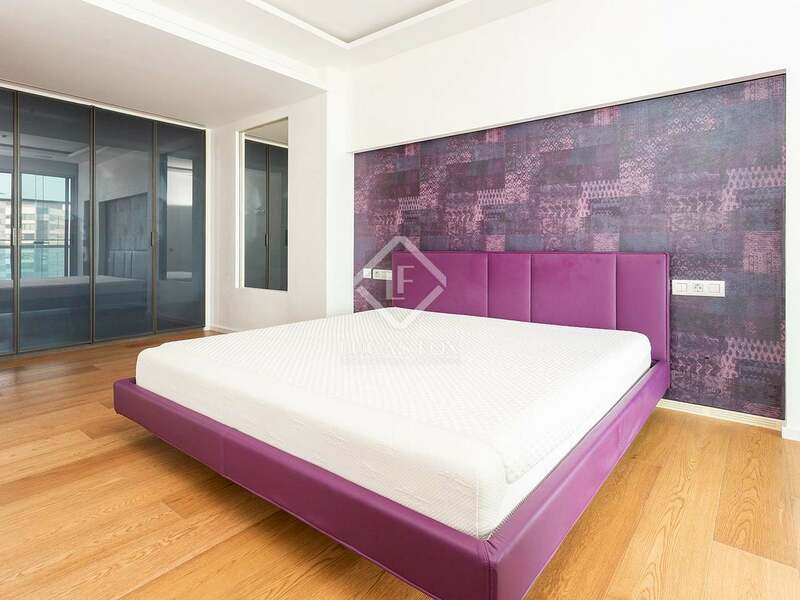 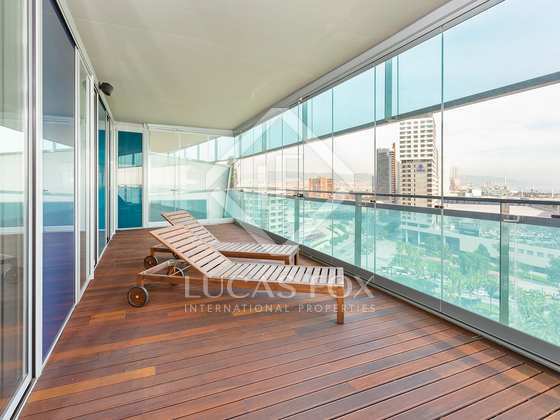 Fantastic apartment with a spectacular large terrace on a high floor of a modern building with sea views and excellent communal facilities on the seafront in Diagonal Mar. 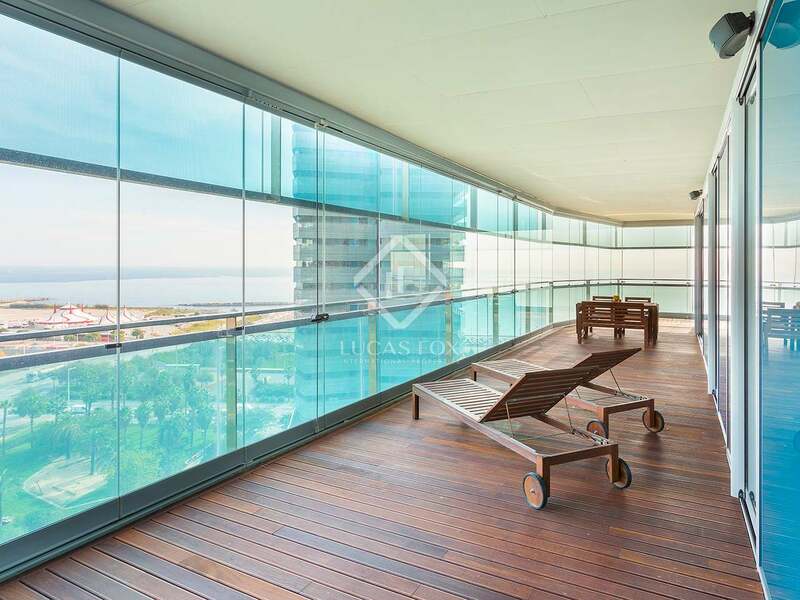 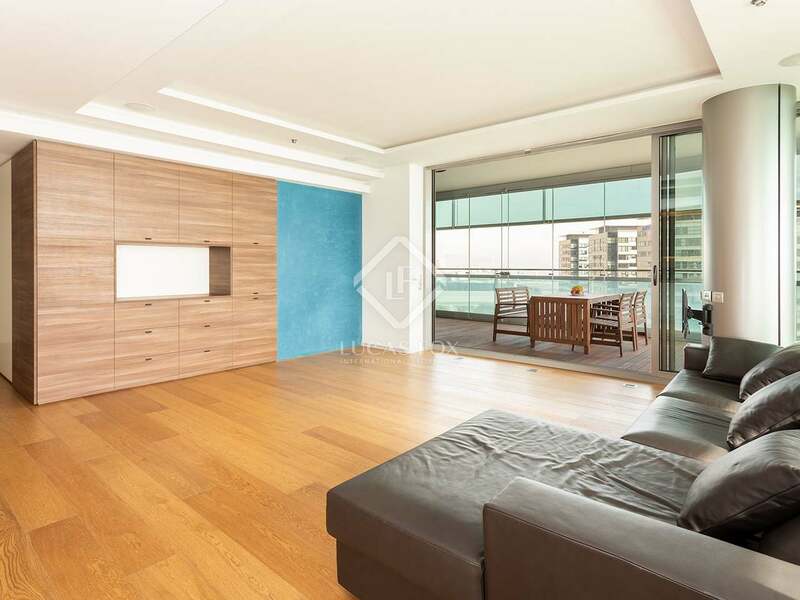 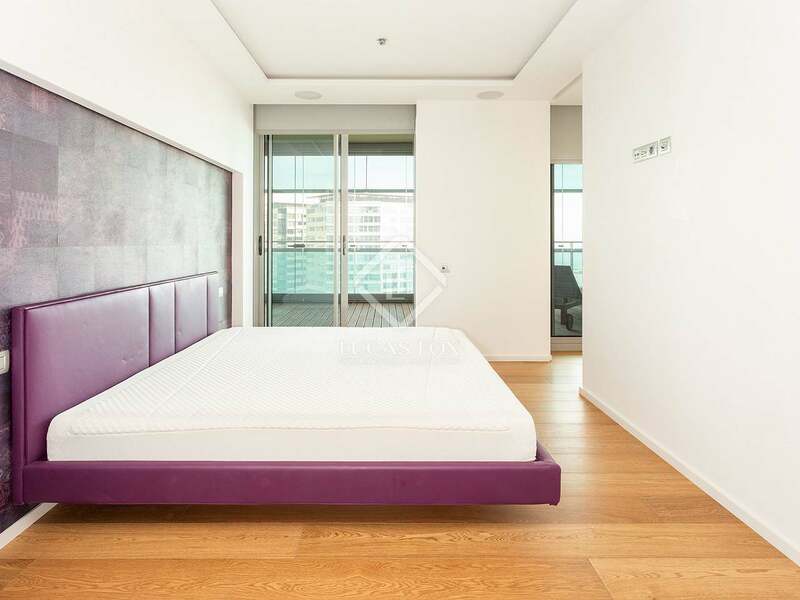 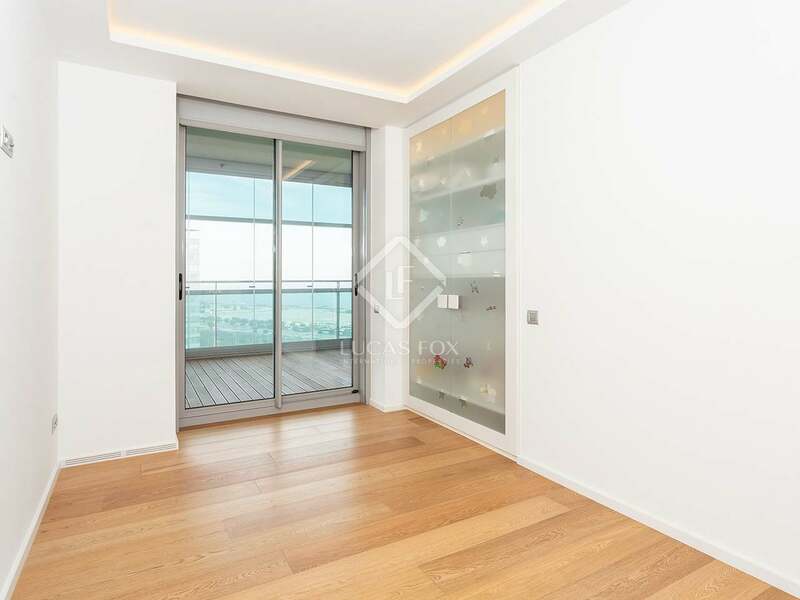 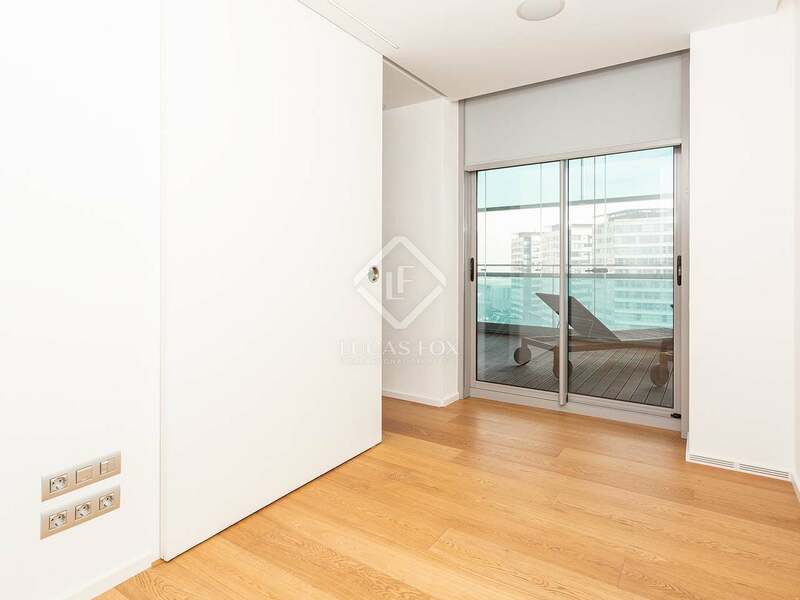 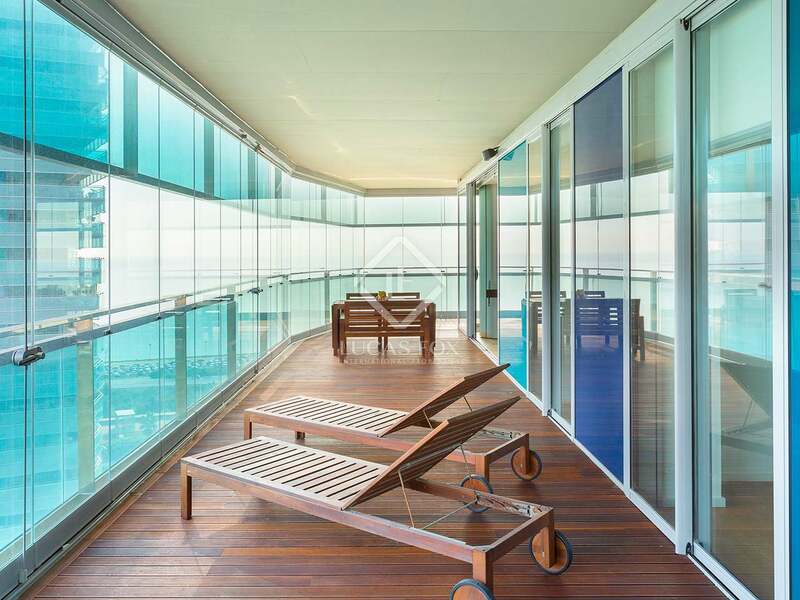 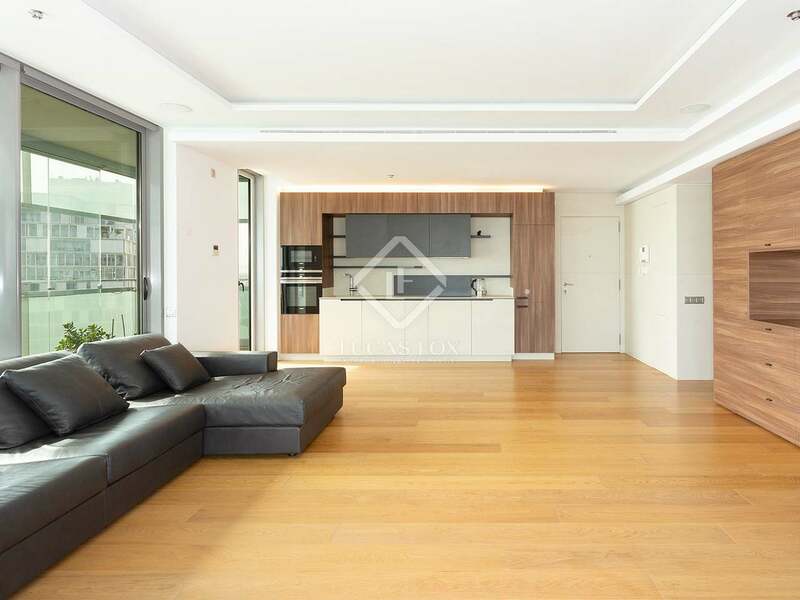 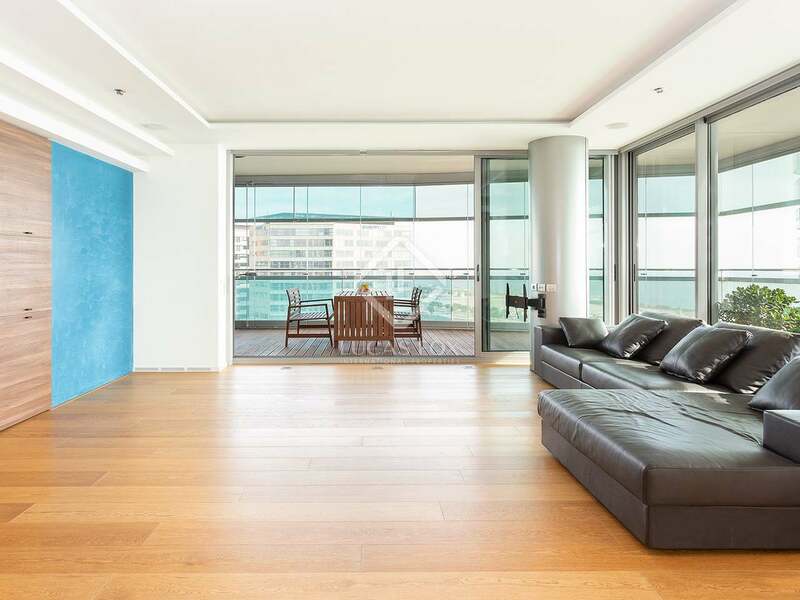 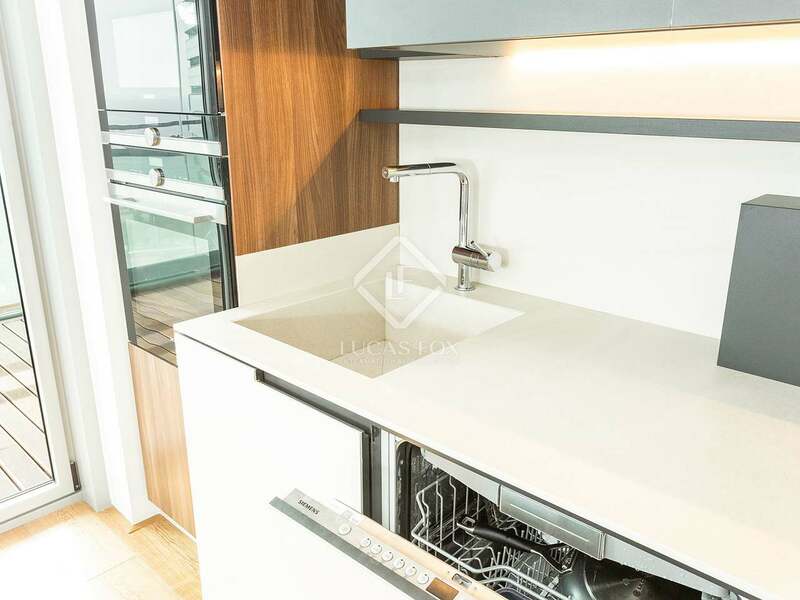 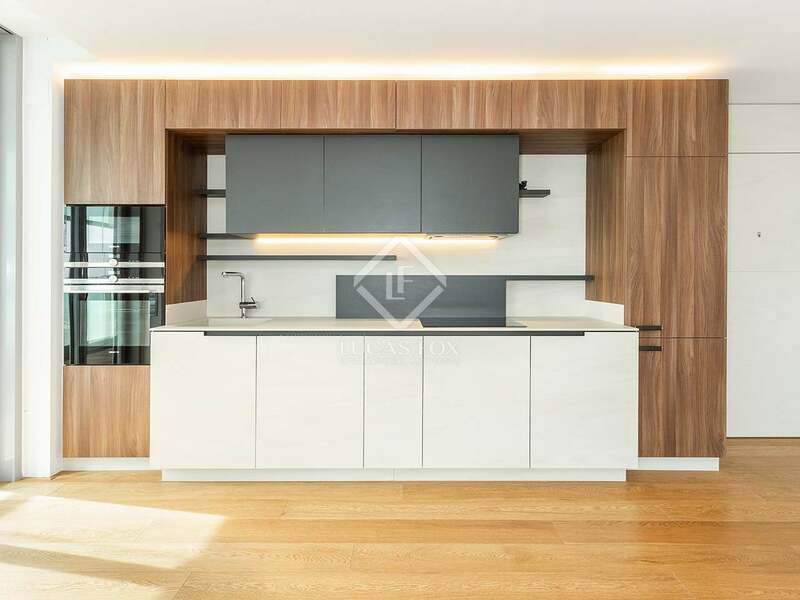 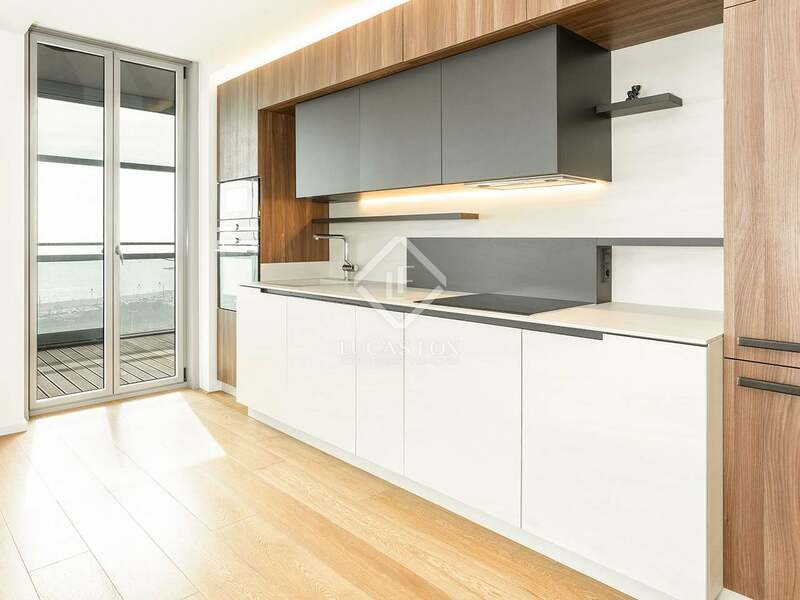 On a high floor of a luxury residential building in Diagonal Mar, we find this wonderful, fully renovated 90 m² apartment with 74 m² of terrace space, enjoying great sea views. 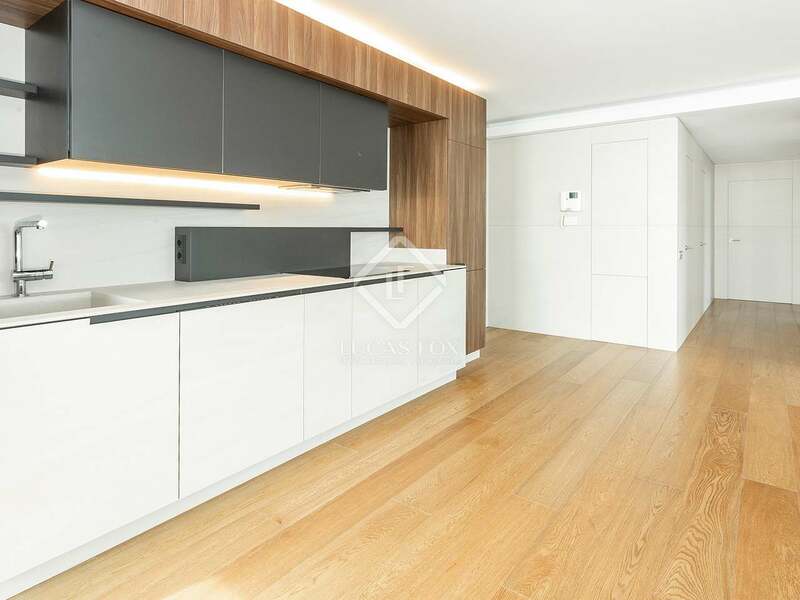 Renovated in 2017 with high quality materials, this attractive apartment is presented in perfect move-in condition and comes with a parking space and storage room. 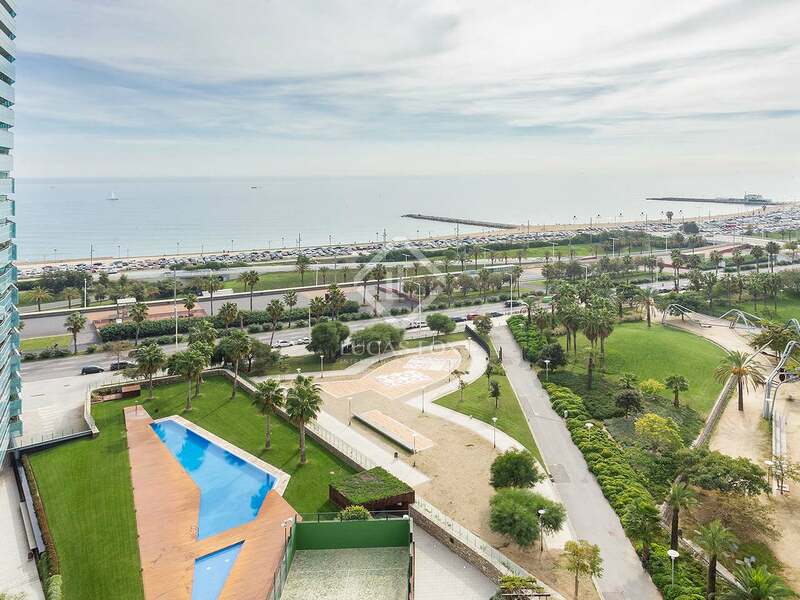 The building boasts a communal pool, children's pool, sauna, padel court, ping pong, gym, park with lakes, a concierge service and 24-hour security. The apartment offers 3 bedrooms which all enjoy access to the impressive 74 m² terrace which has special lighting with different colours and makes a wonderful place to relax both during the day and at night. 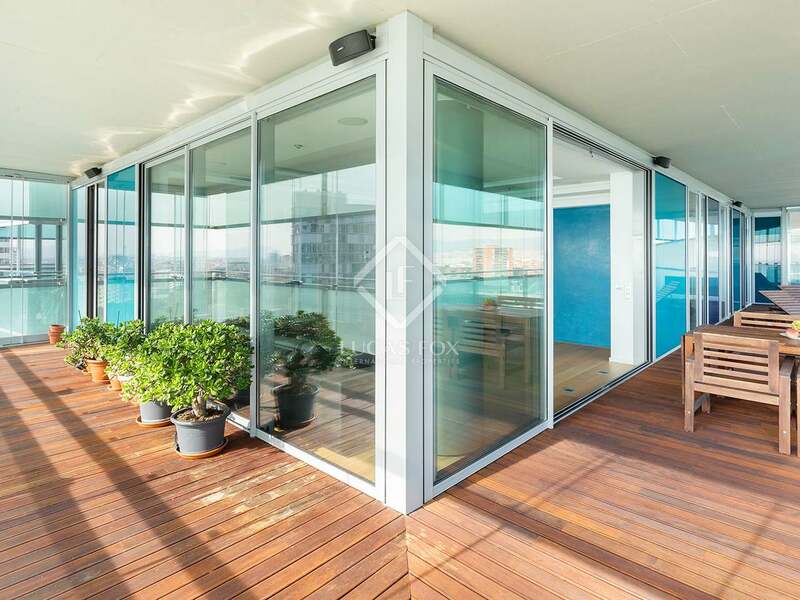 The terrace can be enclosed and sheltered from the wind by a sliding window system. 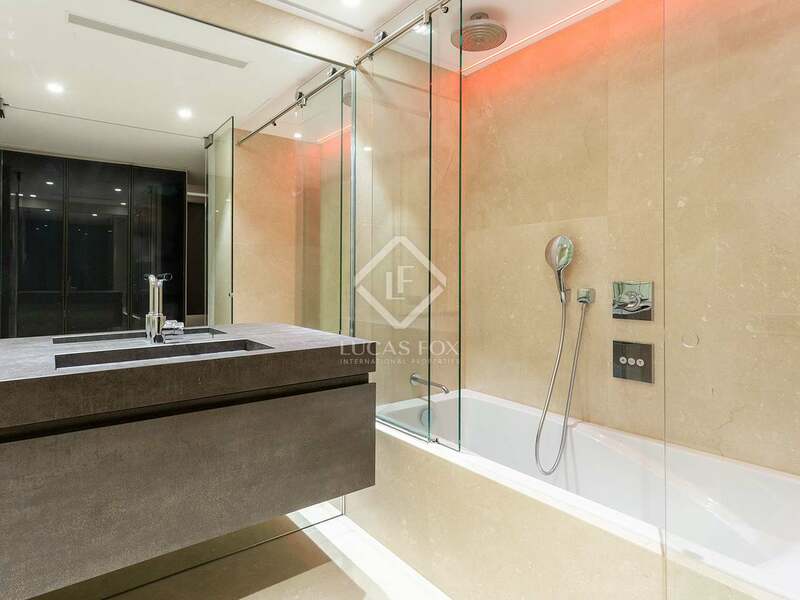 The property has a bathroom with a shower and another with a bathtub. 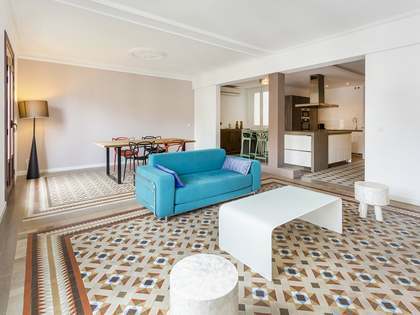 In the living area we find a very bright living room, also with terrace access, and an open plan kitchen that is fully equipped with appliances. 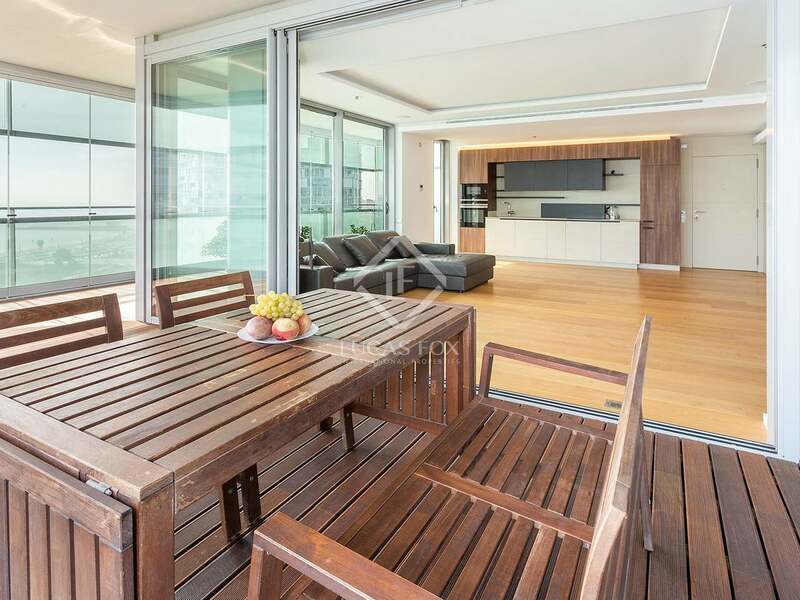 The property benefits from air conditioning, electric blinds, a music system both inside and on the terrace, an alarm system and video surveillance of living room. 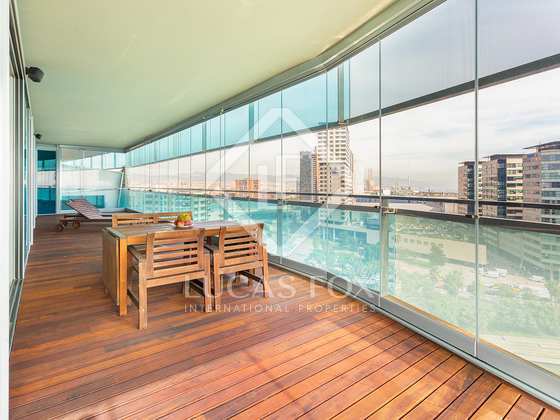 Do not hesitate to contact us to arrange a viewing of this superb city home. 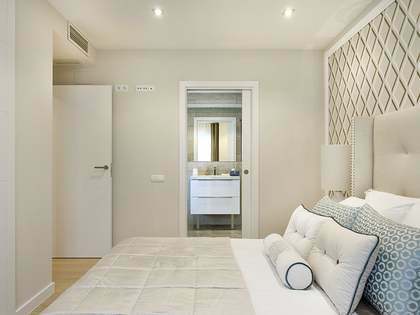 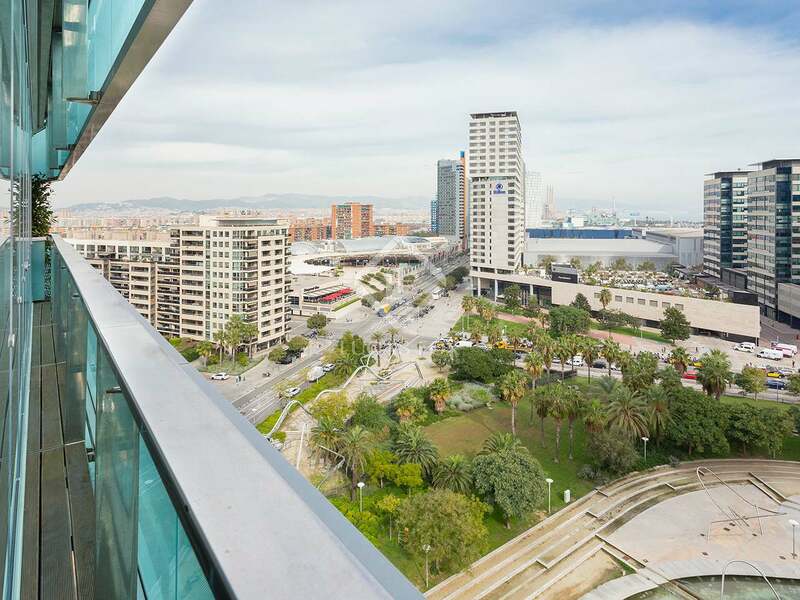 Property located on the seafront in Diagonal Mar, very close to the beach, public transport, shopping centres and parks. 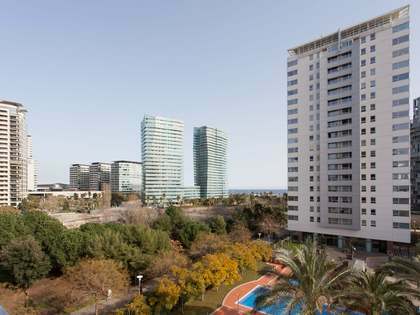 The airport is easy to reach from here via the Ronda Litoral.